Yes, CyanogenMod fans, there is a Santa Claus. Cyanogen Inc. announced early on Christmas Eve morning that the long-awaited Oppo N1 CyanogenMod Edition is now available on Oppo's web store. 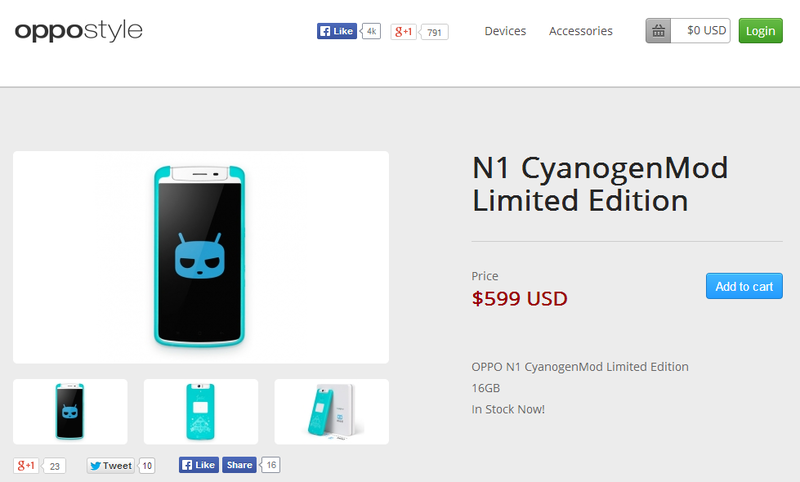 It costs the same $599 as the standard N1, but comes pre-loaded with CyanogenMod 10.2 (Android 4.3). You'll also get spiffy custom packaging, a CyanogenMod phone case (plus a standard case), the O-click remote shutter, and a few stickers to show your devotion. Shipping is free, but will take a while in the middle of the holidays. As we reported earlier, CyanogenMod on the Oppo N1 has passed the Google compatibility test suite and other milestones, giving it official access to Google's closed-source applications and the Google Play Store. That makes the N1 CyanogenMod Edition the first retail phone released with a community-driven ROM that's truly consumer-ready. Just in case you're unfamiliar with the Oppo N1, the CM Edition shares identical specs with the wider version: 5.9-inch 1080p screen, Snapdragon 600 processor, 2GB of RAM, 16GB of storage, a rear touch panel, a distinct lack of LTE, and the unique 13-megapixel camera mounted on a rotating housing. But wait, there's more! Since Cyanogen is maintaining the software for this version of the N1, they're starting as they mean to go on. So from day one you can download a factory image of the release software, allowing ROM fanatics and tinkerers a safe place to return to if they mess up. They've also posted kernel source code and the code for the 10.2 ROM itself, along with the basic files for advanced users to build an early version of CyanogenMod 11 (Android 4.4) for the device. 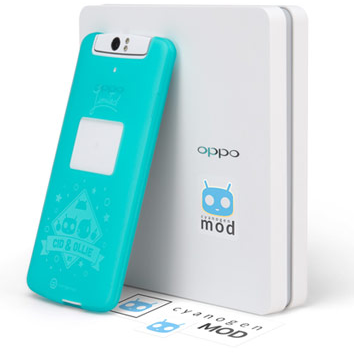 There's just one piece of the puzzle left: a flashable ROM for the standard model Oppo N1. Oppo said in earlier press presentations that the general consumer version of the N1 would be capable of flashing CyanogenMod from the stock recovery. We'll let you know when those files show up.